Lazada Singapore is turning 3 with the most shocking online sale and deals! You will enjoy unlimited access to millions of products from popular brands across the globe for the price of half and more. Being one of the the country’s leading online shopping website, Lazada Singapore would like to extend their appreciation to all the loyal shoppers out there with awesome price reductions up to 90% OFF and 300+ flash deals! Unwrap Those Mysterious Lazada Surprise Boxes Now! Other than enjoying great discounts from the products you love, this year’s birthday sale is packed with fun and mystifying surprises! The team from Lazada Singapore have prepared some thrilling gifts for you! 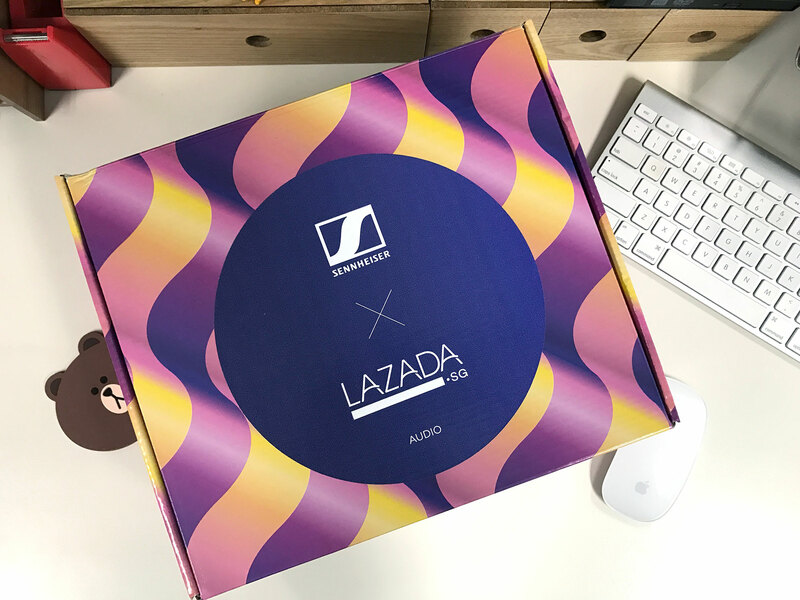 Introducing you the Lazada’s Surprise Boxes, which will be filled with items at least $100 in value from your most loved brands such as Laneige,Nivea, Maybelline, JBL, Razer, Logitech, Sennheiser, SanDisk, Xiaomi, 3M, Lenovo, Philips Avent and so much more. 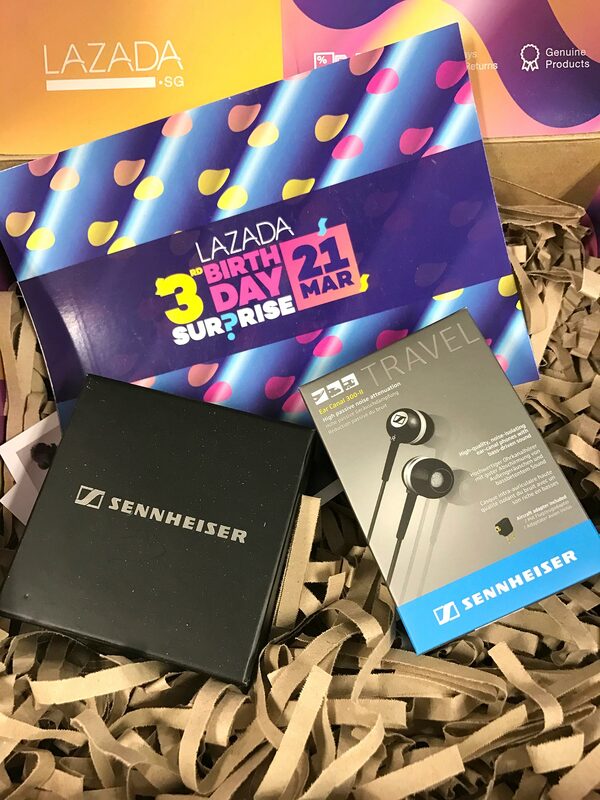 So here’s my Lazada’s Surprise box : Sennheiser X Lazada and guess what I got in there? Excited to unbox each birthday surprise? Make sure you visit LAZADAnow as they unveil each mystery box. What’s more, DarrenBloggie readers gets to enjoy 18% OFF* when you enter this voucher code: WOWDARR18! Discount is valid from 21 March to 23 March 2017 only. Applicable for items on LAZADA SG, iOS and Android APPs. Discount is 18% off and capped at $8 for new customers. Voucher code is applicable for single use only and cannot be combined with other codes and promotions. This post is brought to you in collaboration with LAZADA SG.